Making Money With CPA Offers – A Step-By-Step Video Tutorial is a fabulous video that gives you the means to tap into the big money online and start streamlining it into your pockets. It’s all about making the time to watch this short instructional and alive, super simple and easy to apply video that shows you how to tap into top niches and build your authority, online presence, and your ability to be trusted in the industry and get rewarded with traffic and money because of this. The money is right there to be made and this video is your tool to stamp it all yours and start collecting. 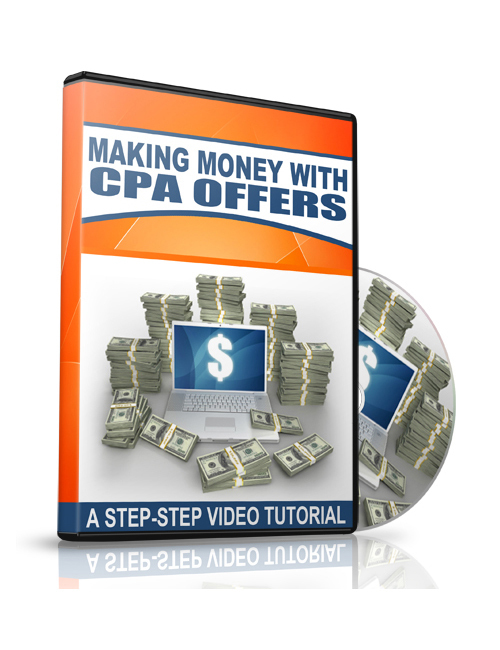 Making Money With CPA Offers – A Step-By-Step Video Tutorial is your easy route to constant cashflow and a solid platform from which to explode. Hit the download button now and begin!